Russian warships are seen during a rehearsal for the Navy Day parade in Sevastopol. One of the main problems that the Russian fleet inherited after "the collapse" of the 1990s was the degradation of its base infrastructure. Today Russia is actively restoring the fleet's repair and maintenance system. The precipitous reduction of military expenditure in Russia in the 1990s first and foremost led to the decay of technical maintenance points. Until 2000 navy ships were hardly ever used, meaning breakdowns occurred rarely. By this time the fleet's activity beyond Russia's waters was practically inexistent. With the renewal of the Russian Navy's activity in the middle of the 2000s, navigation in remote seas and oceanic zones increased and so did the breakages. A significant number of Russian military ships quickly broke down and it was impossible to repair them due to the absence of repair bases. There were frequent cases of ships being sent for repair and not coming back or of seaworthy ships being dismembered as organ donors for their more fortunate brethren. It was then that Russia had to restore the ship repair and maintenance system in the ports from scratch. In 2008 a state company called Novik was established with precisely this objective. In 2009 Russia began constructing a technical base for the North Fleet, which was the most active at the time. Then bases for the Pacific Ocean and Baltic Fleets followed. These were set up in Vladivostok and Vilyuchinsk in the Pacific and in Kaliningrad on the Baltic Sea. 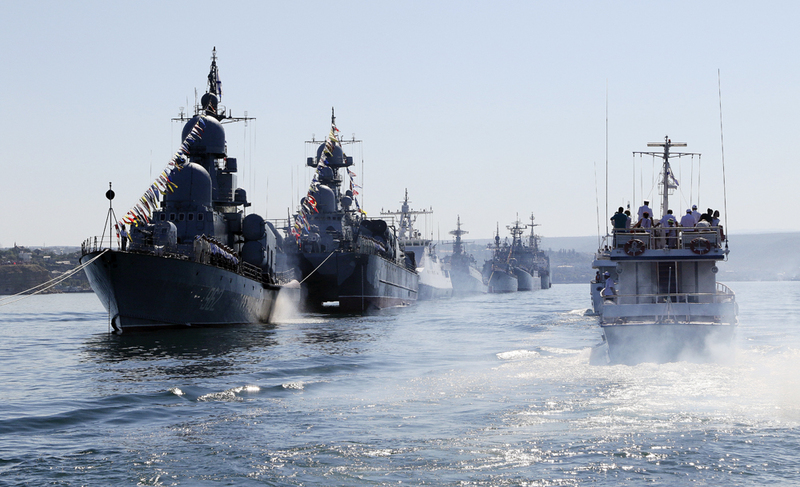 In 2013 Russia began searching for solutions for the Black Sea Fleet, which was the most problematic at the time. In this period the "Syrian Express" was gathering momentum, with landing craft from all four Russian fleets. The growing intensity of the campaigns required more thorough maintenance. The Novik representative office that opened in Ukraine in 2013 transformed into a Black Sea industrial-technical base. It was immediately given the responsibility of repairing and maintaining the ships entering Sevastopol from all the Russian fleets that had missions in the Mediterranean. The key feature of the new industrial-technical bases is their mobility. "We are not tied to factory capacities. We can send the working group out to the ship. There it can solve many of the problems that, in theory, can occur during repairs and maintaining readiness of the ship at the base," said Novik's general director Alexei Lyaschenko. What exactly is the U.S. Navyu2019s brand new stealth destroyer for? The technology of the new repair bases consists of mobile groups containing 20- to 40-foot-high equipped sea containers that are assembled in the ports depending on the solution. If needed this technology can service the fleet technically not only inport but also out at sea. Repair and service is also carried out during combat missions, meaning that time will not be lost returning the damaged ships to port. Everything is repaired on the spot with the base's capacities. Almost all auxiliary navy units are suited to this, as well as the mobilized vessels from the commercial fleet. In many ways such an approach resembles methods applied by the British Royal Navy during the Falklands War. The Royal Fleet Auxiliary provided mobile bases, maintenance and emergency repair of combat ships, fixing their technical breakdowns and combat damage several thousand miles from the closest port. Mobile bases in auxiliary vessels were also found in Japan's imperial fleet during WWII. The Soviet Navy used this method during combat missions in the Mediterranean Sea. Modern industrial equipment and the module principle facilitate repair and maintenance, greatly increasing the number of solutions. Other players are also manifesting interest in this technology. In particular, India is currently building these bases in the Indian Ocean.